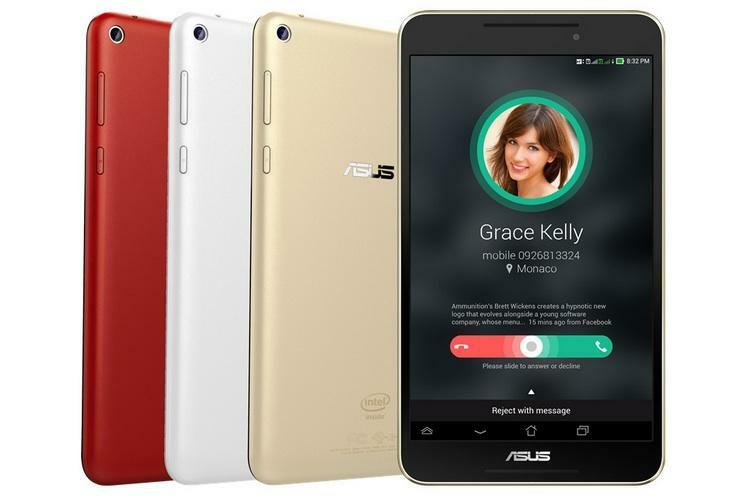 Asus Unveils Insane Three-in-One Laptop/Smartphone/Tablet! 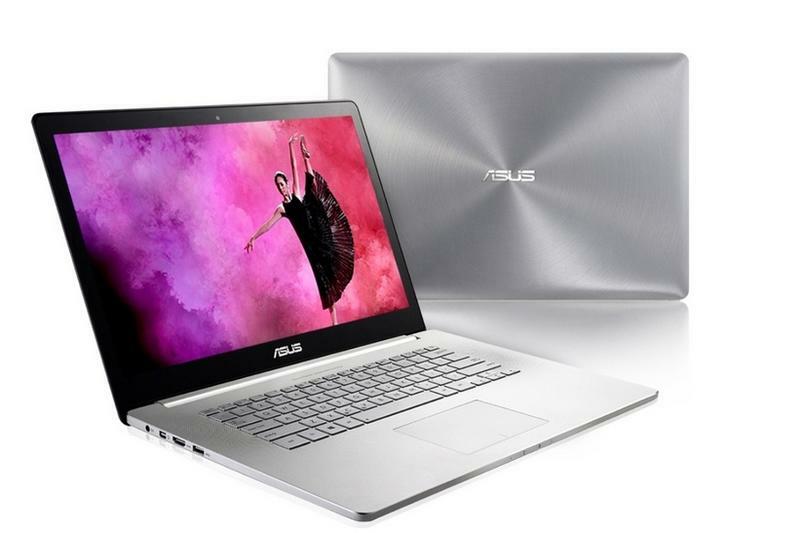 Asus took the stage at Computex 2014 in Taipei on Monday to unveil its dual OS Transformer Book V multi-mode laptop alongside a handful of new notebooks, tablets and smartphones. The full line-up includes several laptop-tablet hybrids, a new Fonepad phablet and two new mid-sized MeMO Pad Android slates. 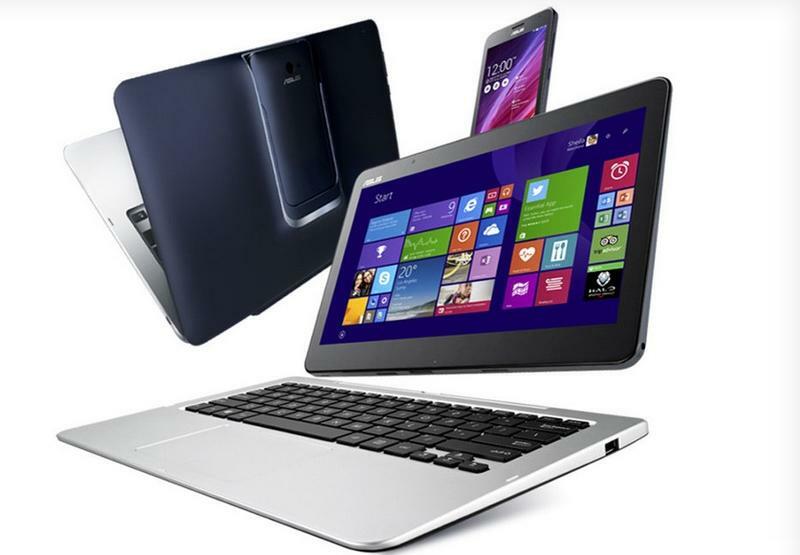 The star of the show, however, is the Transformer Book V, which Asus boasts is “the world’s first five-mode, three-in-one converged laptop that features a Windows and Android laptop and tablet as well as an Android smartphone.” It comes with a 12.5-inch touchscreen, a keyboard dock for laptop mode, and a 5-inch handset that slides into the tablet. 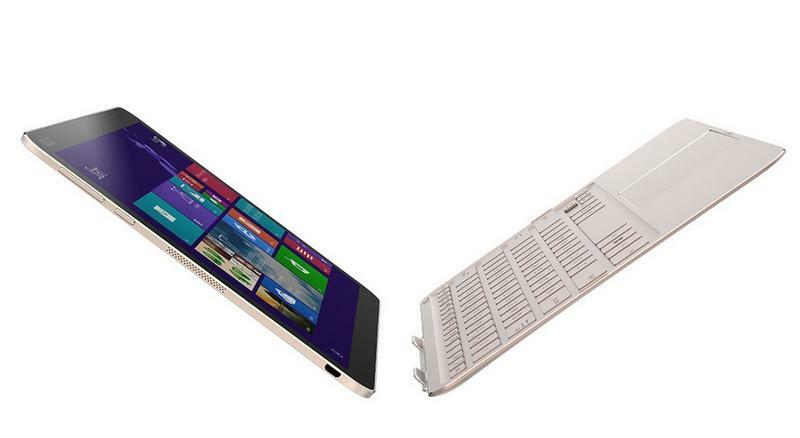 Basically, it’s the PadFone on steroids. It also runs both Windows 8.1 and Android 4.4 KitKat, letting you jump back and forth between the two competing operating systems with the touch of a button. The tablets offers 128GB of storage, while the smartphone is LTE capable and packs a 2500mAh battery. Unfortunately there’s no word on when the Transformer Book V will actually hit the market, and Computex attendees were only able to glimpse the device from behind a heavy glass case. 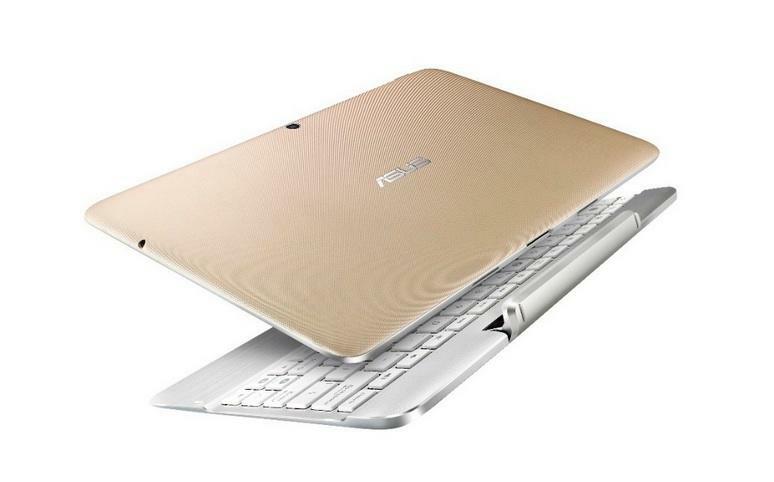 In the meantime, Asus is offering the Transformer Book T300 Chi laptop, which features a detachable 12.5-inch 2560 x 1440-pixel display, a fanless design and LTE support. There’s also the Zenbook NX500, a 15.6-inch 3840 x 2160-pixel Ultrabook with an i7 processor and a new Portable AiO PT2001 19.5-inch tablet with a built-in kickstand and a foldaway handle. 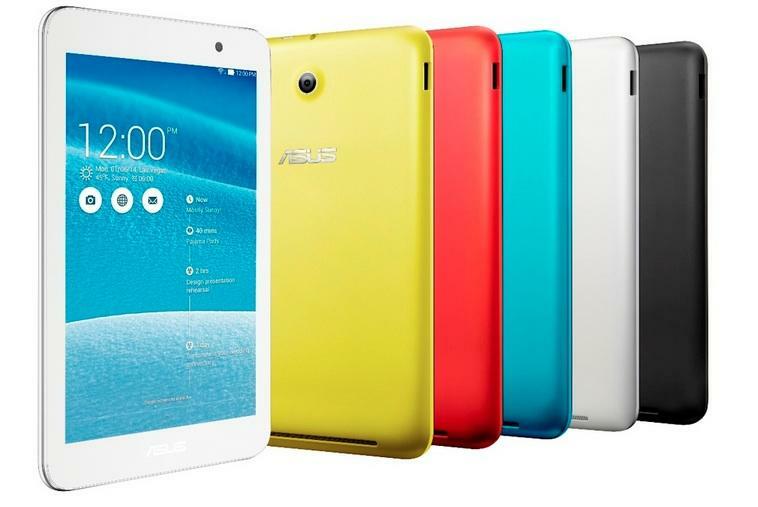 On the phablet end, Asus is introducing the Fonepad 8, a massive 8-inch handset with 3G capability, and a 1280 x 800-pixel display. 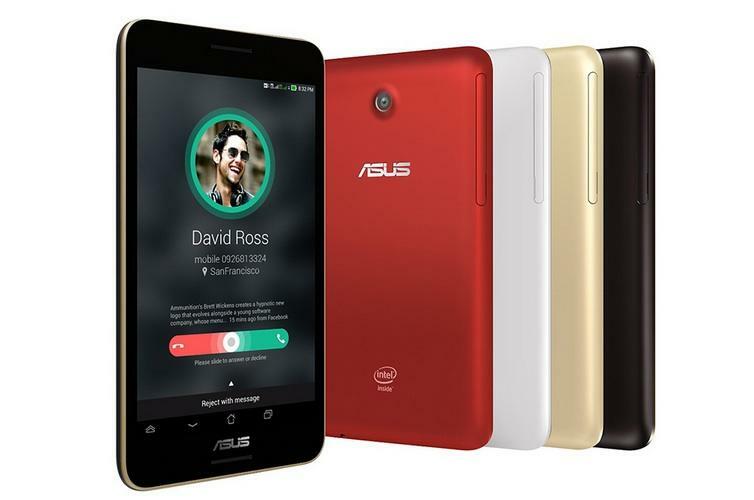 It also packs a 64-bit Intel Atom 1.8GHz quad-core processor and dual front-facing speakers. Finally, the company is introducing two new mid-sized Android tablets. The MeMO Pad 8 offers a Full HD 8-inch display, a 64-bit Intel Atom processor, and LET support, while the smaller MeMO Pad 7 offers a 720p 7-inch display, the same 64-bit processor, a 5-megapixel rear camera and a 2-megapixel front-facing shooter. Asus hasn’t confirmed pricing or availability for any of these products, so it could be a while before these devices begin to hit the market. It’s still nice to see what the Taiwanese company has planned for the rest of the year, and we can’t wait to try out the Transformer Book V for ourselves. 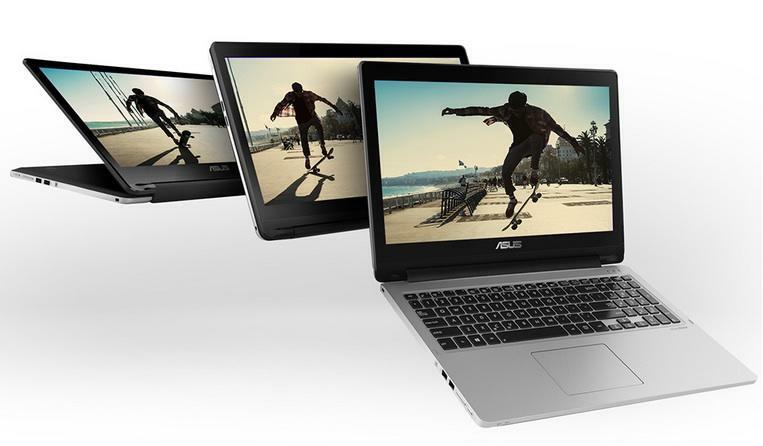 Until then we’ll be keeping an eye out for any more news surround the new Asus lineup.